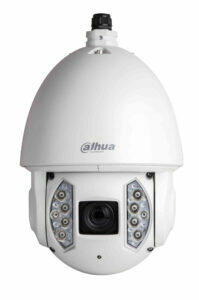 What is the Difference Between PTZ Speed Dome Cameras and Fixed Dome Cameras? When it comes to video surveillance, you want to be sure you get the best cameras available at an affordable price. When it comes to video surveillance, you want to be sure you get the best cameras available at an affordable price. Are you searching for the best security cameras to use for your business? All of the overlapping terminologies can get confusing. Fortunately, we have prepared this helpful guide to better distinguish a PTZ speed dome camera from a fixed dome camera. What is a PTZ speed dome camera? First of all, the acronym PTZ stands for “pan, tilt, zoom.” These three commands reflect what you can do with these cameras. For instance, you can direct them to pan back and forth or to tilt up and down. You can also set the desired zoom level, either zooming in or out. Most PTZ camera systems include remote control software for users – users can then conveniently make these changes anywhere that there is an internet connection. PTZ cameras offer significant benefits over standard stationary security cameras, such as built-in motion tracking and 360-degree rotational coverage; however, PTZ cameras may need attentive operators to make the necessary adjustments manually when monitoring a particular area. Another factor to consider when deliberating the purchase of a PTZ camera is the overall cost. The camera units themselves may be more expensive than their fixed dome counterparts. Future maintenance and upkeep costs could also add to the overall expense of these cameras. Fixed Dome Cameras are named for their dome-shaped construction and stationary lens. Unlike their PTZ cousins, these cameras cannot pan, tilt or zoom. These cameras are already widely used in business offices and retail stores. One of the major advantages of fixed dome cameras is that it is hard to tell which way the camera is pointed because of the tinted glass dome around the camera’s eye. Another reason to consider a fixed dome camera is its versatility. Although the fixed dome cameras are often used in indoor environments, they are becoming increasingly popular for outdoor use as well because they are highly resistant to impact, such as vandalism from a hammer or baseball bat. Lastly, while both types of these security cameras can capture high-resolution images, fixed dome cameras do not demand as much storage space. This entry was posted on Thursday, September 7th, 2017 at 2:45 pm. Both comments and pings are currently closed.